Barbecue: one word can split the South apart or bring it together. Internally we may squabble over the inherent righteousness of our preferred style, whether it be the mustard-based sauce of the Carolinas or Alabama’s anomalous white sauce. 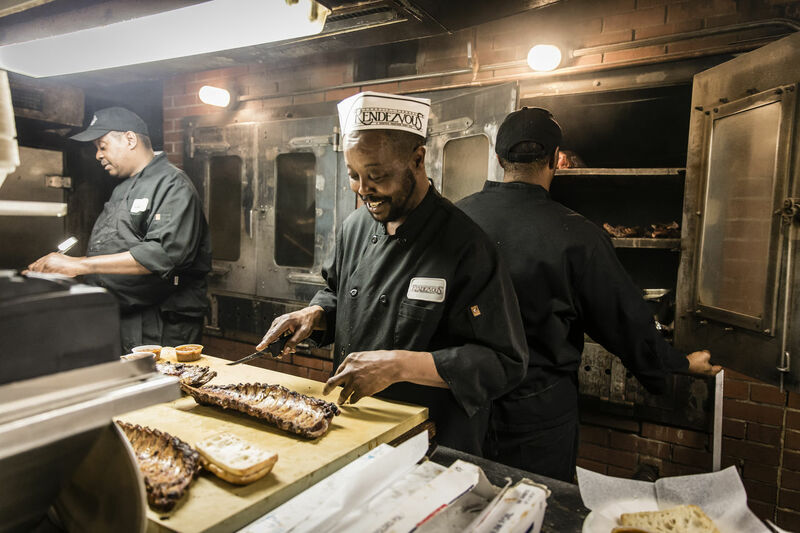 But if an attack comes from the outside, perhaps a Northerner skeptical of the lines for Aaron Franklin’s brisket in Austin or the crowds in the basement of Memphis’ Rendezvous waiting for those legendary dry-rubbed ribs, we join arms in defense as Barbecue nation. Whether we know how to smoke some pig at home or not, barbecue spots often become embodiments of our passion for pulled pork, our belief in brisket, and our reverence for ribs. They are the keepers of the flame, the seraphs of smoke, who keep this true tradition burning and push it into the future: there's the humble ribhouse Dreamland that turns into a madhouse when the Crimson Tide starts to roll; there's four-time Memphis in May Competition winner Chris Lilly’s Big Bob Gibson; and there's even our winner, the new-school Southern Soul Barbecue in St. Simon’s Island, Georgia. The 2017 list of the South’s Best Barbecue Joints shows the dichotomy between our love for those still, smokey, picnic-tabled joints we’ve been frequenting forever and our appreciation for those bringing modern concepts and techniques to it like the now-famous BBQ Nachos at Memphis’ Central BBQ. And while we may argue and cheer for our favorite spot– whether it’s the one where we grew up at, the one we look to for comfort in a new hometown, or the one that we've deduced is the best after careful cross country research (we see you part-time barbecue scholars)–they all make up their own patchwork quilt of traditions. Together, however, they represent one of the most important squares in our region.